Aligning with Talbot Marketing opens the door to untapped opportunities within your existing client base, and unlimited potential for growth. Talbot Sales Associates have the advantage of knowing they can compete with anyone in North America. Talbot Marketing is a full-service promotional, incentive and uniform company providing our clients with customized solutions, while protecting their brand integrity. Our clients count on us to consult with their people, develop products and strategies, and provide solutions that ensure results! Talbot can support any type of branded merchandise requirements and leverages a network of hundreds of preferred vendors around the world to ensure best-in-class pricing. In addition, our leading online store technology and new state of the art fulfillment centre makes us an excellent choice for in-stock e-stores, incentive and recognition programs. Talbot is a Sales Organization focussed on providing you with the tools you need, so you can spend more time selling and make more money. Our unbeatable compensation is unique in the Canadian market and rewards you for your hard work. Talbot pays top commission rates on booked orders every 2 weeks via direct deposit to your bank account. This means we put cash in your pocket an average of 40-80 days faster than any other Promotional Products Distributor in Canada. Talbot's 125 years in the Promotional Products industry has enabled us to build strong, long-term relationships with leading suppliers. We leverage these relationships with our size and order volume to negotiate the best pricing and service in the industry. You will notice the difference every time you are competing against another distributor. Talbot wants to help you continue to grow your business! Earn a yearly sales allowance, based on previous year's sales, which can be used towards things like samples, trade shows, and self promotions. Get rewarded and recognized for your efforts at Talbot's National Sales Conference and Gala Award Evening. Every year our group gets together in Toronto or London to celebrate the past years accomplishments and enjoy each others company. Qualified sales agents receive complimentary Airfare, Single Occupancy Hotel Room, and Arranged Meals. Earn up to $2,000 every time you introduce another sales agent to the Talbot Lifestyle. Please contact Talbot for further details. Some conditions may apply. At Talbot, we believe that Salespeople will ALWAYS take care of their Clients – they develop relationships, build trust and ultimately determine what that customer needs to ensure success. We’ve learned that in order for them to be successful, our team needs to take care of the Sales Agent – to provide them with the support and the tools required so they can do what they do best! I have been in the Promotional Products & Apparel industry for over 20 years, the last 3 working in partnership with Talbot Marketing. I have never been happier or more prosperous. Talbot is like my best supplier and they treat me like I’m their best client. It’s a strong partnership, when we work it together. Talbot with its tenor and reputation in the industry along with their proven, sound and implemented practices, assists and ensures I have what I need to succeed. Add that to the knowledgeable and ever caring staff from the President Steve Levschuk down and it’s a sure win for all. 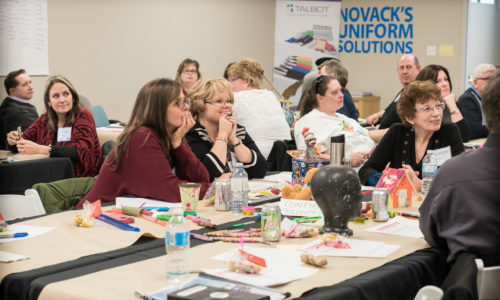 Talbot offers support and training in promotional product and corporate apparel selling, decoration, on-line e-stores, warehousing and fulfillment programs and now with the inclusion of our Uniform Division and in-house seamstresses we have the advantage of up-selling this very important and niche market. The power of working with Talbot is beyond comparison. The sky is the limit. I have been in the promotional advertising business for just over 20 years and spent five of that at Talbot Marketing. I would have to say that the people and the systems in place at Talbot make my job much easier and allow me to simply go out and sell product and spend more time with my clients. The support that I am giving in the office is second to none. I am a busy salesperson on the road quite a bit and it’s amazing how the support team at Talbot come together to assist me wherever needed from the warehouse to the customer service team to the graphics department to management, everyone is willing to pitch in and help out. My customers are in good hands at Talbot. Being in the promotional business for the past 20 years and looking to make a change to a leader in our industry and to secure the next 20 years was my main goal. Talbot was the clear choice as they are and have been positioned to meet the challenges of an ever changing business climate. From the leadership top to bottom and with the support offered to the sales agent, I can now concentrate on doing what sales people do which is sell and grow the customer base. The dedicated CSR and a world class art department has resulted in orders being processed faster and shipped sooner than what I was use to in the past and with Art Department providing virtual art programs/ ideas for our customers and potential customers has resulted in faster approvals and new customers coming on board faster. People often ask is the grass greener on the other side with Talbot, easy to say yes, this is how a top promotional company should be run. Thanks again to everyone at Talbot for making the transition a great move for me and my family. Working for one of the largest distributors in the industry for 12 years before coming over to Talbot Marketing in 2017 has really allowed me to appreciate how important it is to have an owner like Steve Levschuk that really cares about his employees and partners. At Talbot Marketing, we are a tight knit group that helps one another and cares about each other. We are not treated like another numbered employee that is just here for a paycheck. Our voices and opinions mean something and Steve and the management group is always available to talk and listen if anyone has any questions, concerns or idea's to help grow the business. 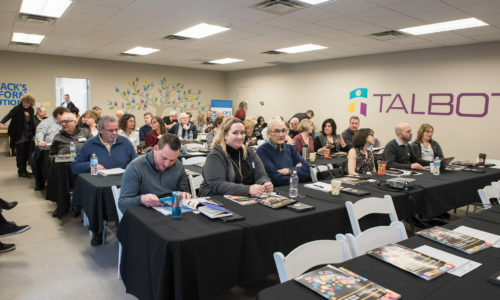 Talbot Marketing is one of the few companies that I have seen, especially in today's day and age that realizes the importance its employees and partners bring and values that relationship. The leadership that comes from the top is outstanding and is exactly what you would expect to see from a successful company. Allowed file extensions - doc docx pdf zip.